North Vancouver Recreation & Culture provides a variety of volunteer opportunities for people of all ages. If you are looking to become involved in your community and have a positive and meaningful experience, consider volunteering! It is a great way to meet new people, gain valuable work experience, develop skills and have fun. At this time we are primarily recruiting for summer camp volunteers (minimum 14 years of age) and aquatic volunteers (Water Safety Instructor minimum required). Summer camps are fun-filled new adventures every day and volunteers help create magical moments for our campers! Our volunteers are fun, have lots of energy, love new experiences and working with children. Our summer camp volunteer positions are available at Delbrook, Harry Jerome, John Braithwaite, Karen Magnussen, and Ron Andrews. As a daycamp volunteer you can choose the weeks you want to volunteer, the locations and the age group you want to work with. We ask that you commit for a minimum of 2-weeks full-time or 3-weeks part-time. For summer camp opportunities: please refer to the Welcome to Summer Camps letter. Once your application has been received, please complete the next steps outlined in the Welcome Letter. Return the completed application package to the front desk of any NVRC recreation centre and ask for it to be forwarded to “Meh at Volunteer Resources”. While you are completing your forms, sign up for a volunteer orientation as spots fill up quickly. Your orientation has to be completed prior to your first week of volunteering. Qualified volunteers assist staff during swimming lessons and may provide 1:1 support for participants who require some additional support. Completion of the Water Safety Instructor (WSI) course is required. Thank you for your interest in volunteering with the North Vancouver Recreation and Culture Commission. To apply to be a volunteer with the North Vancouver Recreation and Culture Commission click here to apply online. 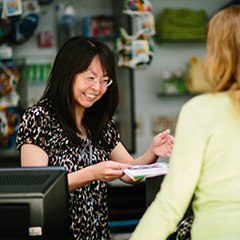 The North Vancouver Recreation and Culture Commission has established rules and regulations to protect the best interests of its volunteers and customers. Our ultimate goal is to help volunteers have fun while they're contributing to the success of our programs and activities. Once you have been accepted as a volunteer with the Recreation & Culture Commission, you will be provided with a copy of the Volunteer Policy Manual. We recommend you read through the current policies and practices before your orientation. Questions? Contact Volunteer Services for further assistance either by email or call (604) 983-6345. North Vancouver Recreation and Culture Commissioners volunteer their time and energy to guide the Recreation Commission's policies and to represent the best interests of North Vancouver residents. We thank all commissioners, past and present, for their contributions. The Councils of the District and the City of North Vancouver appoint their respective Councilors and citizen appointees to the Recreation & Culture Commission. Citizen commissioners serve a 3-year term on a schedule that coincides with municipal elections. Council and School District representatives are appointed annually. Our operating partners, North Shore Neighbourhood House and Parkgate Community Services Society, also provide a range of volunteer opportunities at John Braithwaite Community Centre and Parkgate Community Centre. Visit their websites below for more information.